MRED students are invited to travel to corporations and real estate developments in the U.S. or around the world. Trip locations trade every other year between the U.S. and locations abroad. This hands-on learning opportunity allows students to learn from successful professionals and see first-hand how real estate development works. 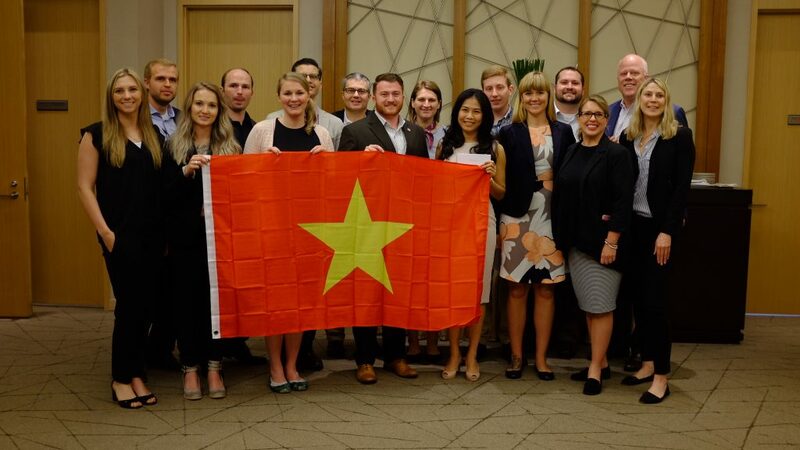 In 2018, MRED students have the opportunity to travel the world and visit real estate cites in Asia and Europe. Earn class credit, network with top real estate professionals across the globe and explore world class real estate sites in-person. 2017: Real Estate Around the U.S.
Every other year, the U.S. trip locations switch between the West Coast and the East Coast. In 2017, MRED students traveled the East Coast, visiting sites in New York City, Philadelphia, Washington D.C. and Chicago. In 2016, MRED students traveled the global, visiting Seoul, Shanghai, Dubai and London. Students worked as a team to research, network and find notable real estate projects and professionals they desired to visit.